Hexaware is a leading global provider of IT, BPS & consulting services with revenue of over USD $525.6 million. The Company focuses on key domains such as Banking, Capital Markets, Travel, Transportation, Logistics, Hospitality, Healthcare, Insurance, Manufacturing & Consumer. Our 12,700+ employees are driven by the philosophy, Your Success is Our Focus to deliver value and help our clients succeed. The company is on a transformation journey, helping organizations re-imagine their business. 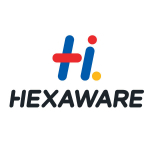 Associate GM at Hexaware Technologies Ltd.